Knowing how to mix tasty cocktails will make you a hit at any party, but adding flair to the process can bring the house down. These two drink recipes will capture people's attention before they've even taken a taste. Be warned: Failure to practice these beforehand may result in the party tricks backfiring. Know what you're doing lest you start a fire or literally end up with egg on your face. Citrus fruits store the majority of their aromatic oils in tiny sacs within their peels. When heated, the walls of these sacs weaken and bring that oil to the peel’s surface. Ejecting these oils through a flame vaporizes and ignites d-lemonene, the aromatic hydrocarbon that gives citrus fruits their smells. This vapor will evenly distribute over the surface of your drink and provide the lingering scent of citrus to your cocktail. Orange peels are, in my experience, the easiest to flame. After choosing a firm one, cut a slice of peel about the size of a silver dollar and clean off any fruit that is still attached. Hold your lighter in your non-dominant hand and the peel in your dominant hand with the pith towards your palm. Pass the peel over the flame but don’t let the two come into contact. Repeat until the peel’s surface is shiny and your fingertips get warm. Now, hold the lighter between the peel and the area over your cocktail. With the outside of the rind facing close to the flame, squeeze the peel. 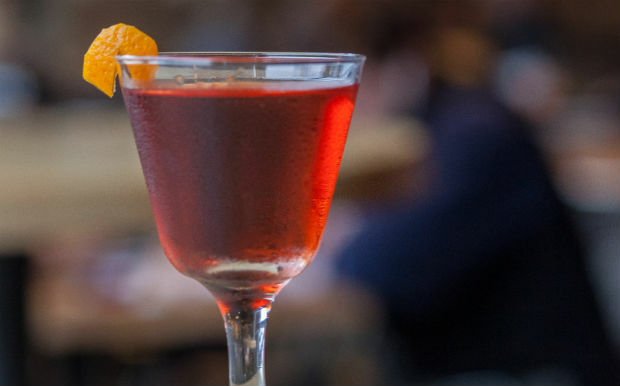 The classic Negroni is a perfect test subject for a flamed garnish. 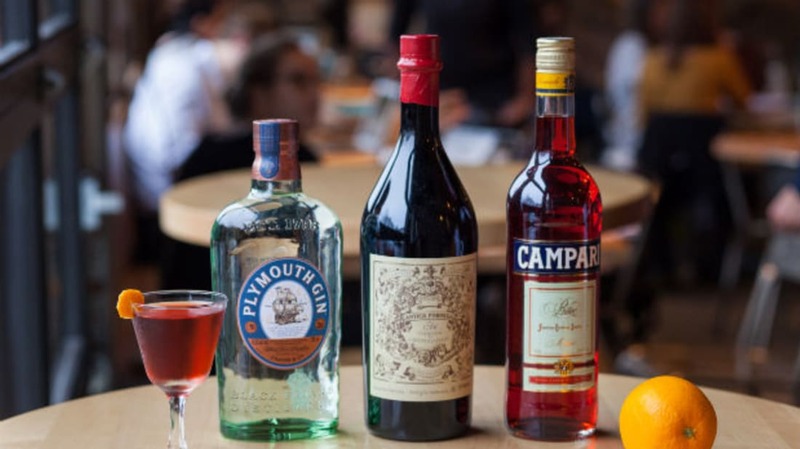 The orange complements the bittersweet Campari and herbaceous gin perfectly, giving the classic Italian cocktail even more oomph. Combine all ingredients in a mixing glass. Stir for 12-15 seconds or to taste. Strain into a chilled cocktail glass and garnish with a flamed orange peel using the practice above. Eggs have been used in alcoholic beverages since before the word “cocktail” was coined. In addition to the "wow" factor of breaking out an egg to make a drink, egg whites give cocktails a creamy texture and a beautiful foam cap. Since egg whites are mostly water and proteins, shaking them with citrus juice and sugar unravels and stretches out the protein chains, strengthening air bubbles' walls within your drink. Concerned about salmonella? Per the CDC, the bacteria count in most infected eggs is way below a level that would make you sick. To be on the safe side, buy eggs that are as fresh and local as possible. Keep them refrigerated until you’re ready to use them and wash both the eggs and your hands before making the drink. Depending who you talk to, a traditional whiskey sour includes an egg white for texture. The creaminess offsets the sour lemon juice and adds a fluffiness to its sweetness. Add all the ingredients into a cocktail shaker. Shake without ice for 15-20 seconds to begin emulsifying the mixture and unraveling the proteins in the egg white. Add ice and shake for an additional 20-25 seconds to chill through. Strain into a glass to avoid excess dilution.